ESPN’s Adam Schefter, who once authored a book with Redskins coach Mike Shanahan and who widely is believed to still have a direct pipeline to Shanahan, has broken his curious silence regarding the Haynesworth situation. Citing an unnamed “high-ranking Washington source,” Schefter reports that the Redskins are not “determined” to trade Haynesworth. But Schefter’s report contains two strong clues that, in our view, represent an effort by the Redskins to get under Haynesworth’s skin, possibly in the hopes of getting Haynesworth to pay back a large chunk of the $21 million he received last week in order to facilitate a trade. Specifically, Schefter’s source says that “Haynesworth’s name has not come up in any trade discussions since March 31,” which means that on and/or before March 31, Haynesworth’s name did come up in trade discussions. Which means that the Redskins are letting the world know that, indeed, they have shopped the man who was the crown jewel of the 2009 free-agency class. More significantly, Schefter’s source also said that Haynesworth “is, and will continue to be, the Redskins’ starting nose tackle.” Those last two words are powerful; Haynesworth has made it clear that he has no desire to play “nose tackle” in the new 3-4 defense that the Redskins are installing. Characterizing Haynesworth as a “nose tackle” surely is aimed at reminding Haynesworth that, if he stays, he’ll be expected to do something he doesn’t want to do. This was not a mistake to use Nose Tackle, I assure you. And the terms in case you have your doubts, let me assure you that “Defensive Tackle” and “Nose Tackle” are not exactly interchangeable terms. They point EXPRESSLY at a 3-4 scheme. While this revelation is not surprising, it is in fact gratifying that all of a sudden in the wake of the Donovan McNabb shakeup, the highly secretive and tight lipped Washington Redskins off-season pipeline has burst open and is now spewing truth serum. …three other NFL writers — Jason Reid of the Washington Post, Jason La Canfora of NFL Network, and John Clayton of ESPN — have reported unequivocally that Haynesworth remains available. Our guess is that Shanahan is using his relationship with Schefter as a way to apply the brakes to what quickly was becoming inevitable, and in turn to squeeze Haynesworth into coughing up some of that large pile of cash he received last week, if he wants to avoid playing “nose tackle” in the Redskins’ 3-4 defense. It’s a good theory but what I think’s going on here requires a bit more tidying up though…. Given all this recent flood of news surrounding Washington’s dealings with Philadelphia, it gives us even more reason to believe that these two teams had been in talks all along to deal McNabb to the Redskins and the holdup was simply the price. McNabb was the lynchpin ingredient for Shanahan’s offense – I mean do you think the John Elway comparisons are just fluff? And Haynesworth’s decision to air his dirty laundry about the 3-4 scheme cost him by becoming Washingtons biggest bartering chip in the process. 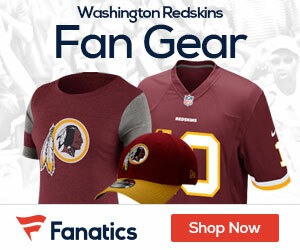 Now all of a sudden everyone’s trying to push a story on Washington wanting to deal Haynesworth, but really what we witnessed is perhaps the biggest move of the off-season complete its course, getting McNabb in the door — and that in and of itself required a lot of nasty negotiations and confidentiality agreements. Think about it like this, didn’t this Redskins off-season remain pretty darn quiet until the McNabb story broke on Easter? So this was the big fish – getting McNabb into D.C. The details were not worked out, players or picks — but in the end the deal was done for picks… which is also why we can deduce now that barring any further blowups about the scheme, Haynesworth is not going to go anywhere now. The deal has wrapped but in the process Shanahan and Allen have clearly sent the message to Big Al — give us your allegiance or you’ll be packing your bags, there’s plenty of off-season left to clean up. Now all of a sudden Haynesworth’s rumored to be rejoining his team members at workouts, laying low, not talking to the press. Yup…. The laundry has indeed been laundered, dried, pressed, delivered, and apparently received.